If you would like to wake up to stunning views of the hills, this reasonably priced hotel will not disappoint you. Choosing the room on the top floor with a large balcony is particularly recommended. 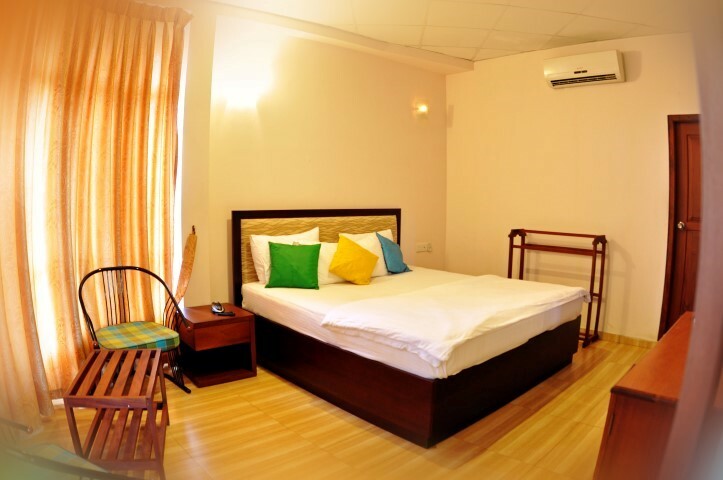 Clean and spacious, the rooms include satellite TV and Wifi connectivity. 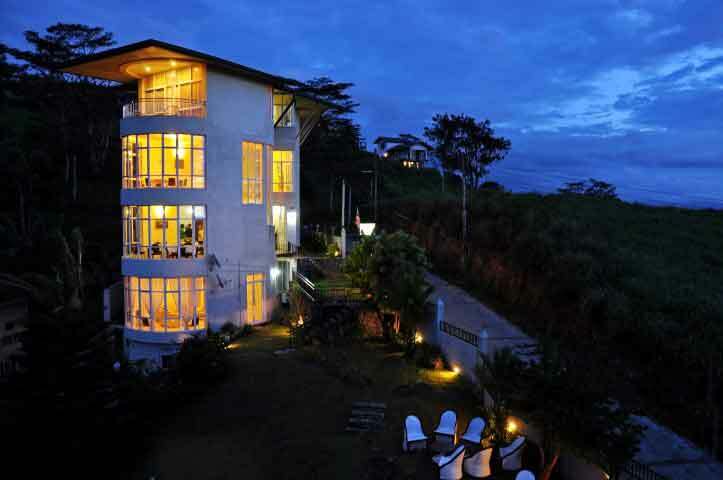 Kandyan View Holiday Bungalow is an impressive 3-star property nestled at green hills of the Hantane range in Kandy. The hotel is known for offering magnificent vistas of natural gems. It is an ideal staying spot for families, couples and honeymooners as it offers luxurious comfort and modern amenities to guests. 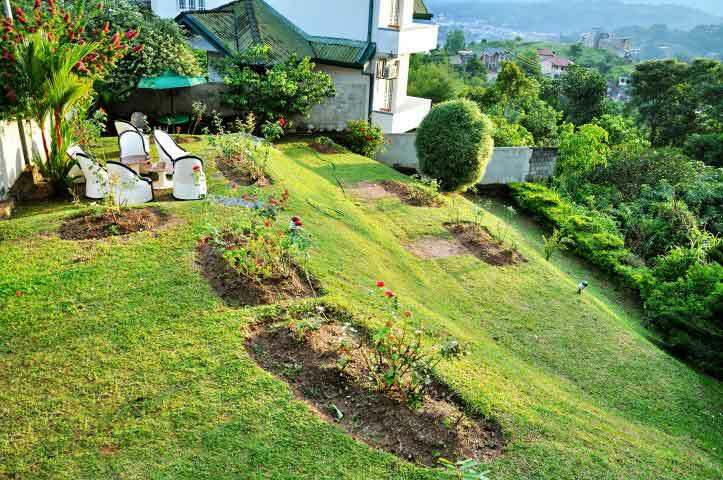 Further, the hotel also features a beautiful garden and terrace. Here, visitors are provided with free internet access. In addition, the property gives an immediate access to all that the stunning city has to offer. Also, one can take bliss in exploring the fascinating key attractions of Kandy like Royal Palace Park, Ceylon Tea Museum and Kandy View Point. 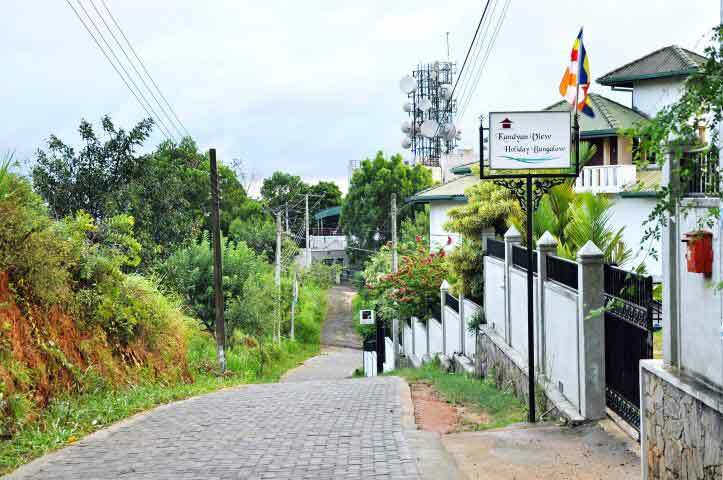 Moreover, Kandyan View is situated around 100 km from the Bandaranaike International Airport. 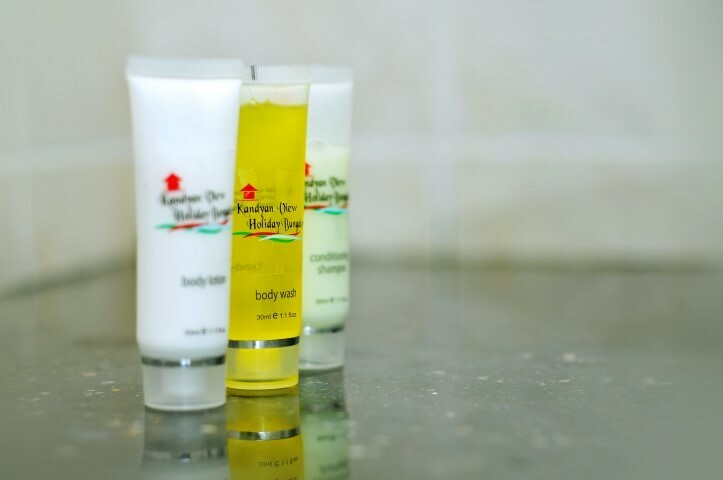 All guest lodgings at Kandyan View Holiday Bungalow feature thoughtful amenities to ensure an incomparable sense of comfort. It features elegantly appointed rooms fitted with wooden floors. The rooms are categorized into deluxe king, superior and standard king rooms. 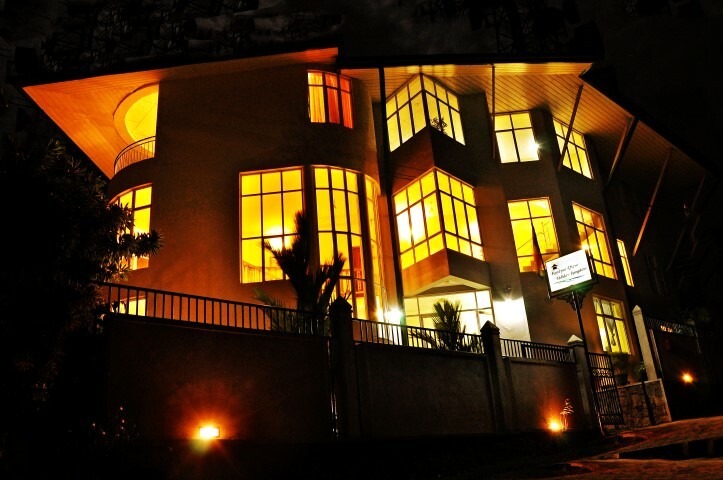 The lodgings are designed gracefully with modern amenities and decors. 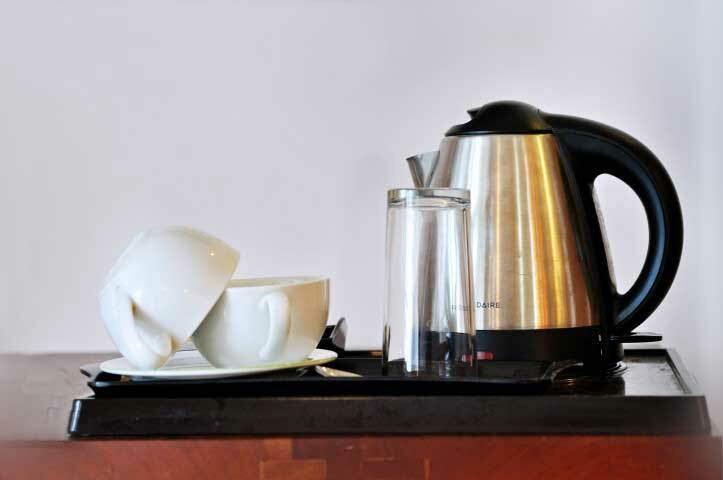 Further, the hotel maintains non-smoking rooms, which feature basic contemporary amenities. The rooms come with air-conditioners, TV sets, safety lockers, proper seating area, and free Wi-Fi access. The attached bathrooms are equipped with free toiletries, geysers, and showers. Moreover, the alluring view of the surroundings can be enjoyed from the terrace. Kandyan View Holiday Bungalow is a host of a number of modern amenities that any luxurious hotel boasts of. Guests can enjoy a wealth of unparalleled services and facilities at this Kandy hotel. The hotel maintains a sun terrace, picnic area and BBQ facilities for guests convenience. With the facilities like a separate smoking area and safety lockers, the hotel offers a nice accommodation in Kandy. To name some of the basic hotels facilities, free Wi-Fi is provided in all rooms, luggage storage, daily maid service, and tour desk is provided to the guests. 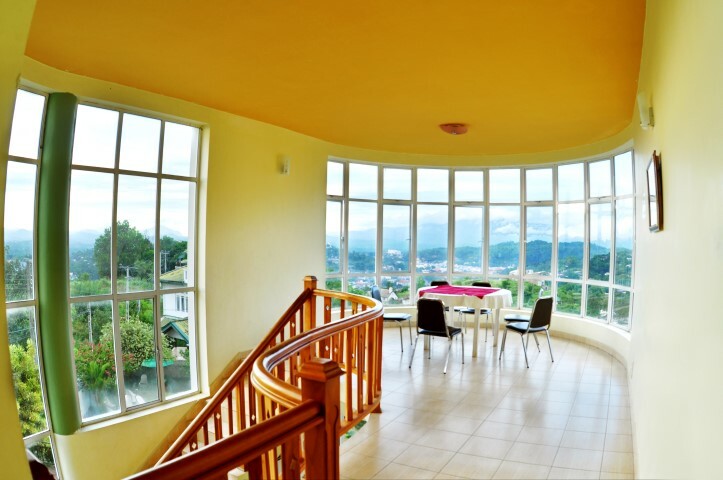 The hotel offers majestic vistas of the Hantane range that are a truly a pleasure for visitors eyes. The hotel also maintains an on-site restaurant, which serves delicious food to guests. Sri Lanka is known for its amazing eateries, bars, and quirky cafes that offer a great dining experience to the guests. Kandyan View Holiday Bungalow maintains a Kandyan Restaurant, which serves delicious local and international cuisines to satiate the appetite of every visitor. Guests can enjoy meals in their rooms as room service is available. The food is prepared by the most celebrated chefs. 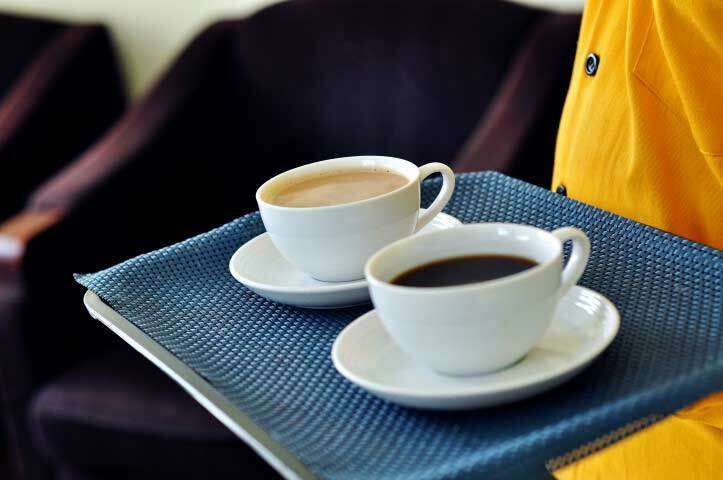 Also, the hotel gives a quick access to many well-known eateries where one can enjoy an array of delectable delicacies and exotic drinks to satiate the appetite of travelers. Exceptional service, scrumptious food, and exotic drinks make these restaurants a must-visit spot. Kandyan View Holiday Bungalow offers a comfy accommodation at pocket-friendly prices. The strategic location of the hotel gives a chance to visitors to explore the key attractions of the city. Guests can hire a taxi to explore the key attractions of the city. 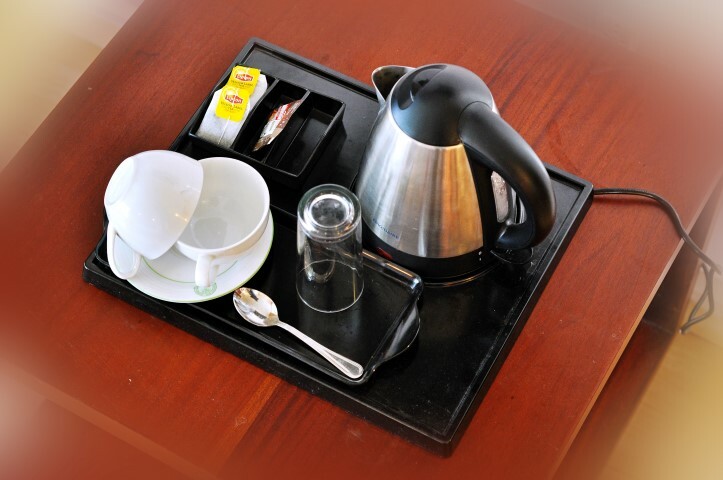 The friendly staff of the hotel makes sure that guests can enjoy a relaxed and hassle-free stay at the hotel. Does the hotel provide a car hire facility to the guests? Yes, Kandyan View Holiday Bungalow provides car hire facility. Can guests avail concierge service at hotel? Yes, guests avail concierge service at Kandyan View Holiday Bungalow. Does hotel provide a facility of local or culture tour? Yes, Kandyan View Holiday Bungalow provides a facility of local or culture tour. Is there any bridal suite at the hotel? Yes, there is a bridal suite at the Kandyan View Holiday Bungalow. How far is Temple of Tooth Relic situated from the hotel? Temple of Tooth Relic is situated around 5 km from the hotel Kandyan View. 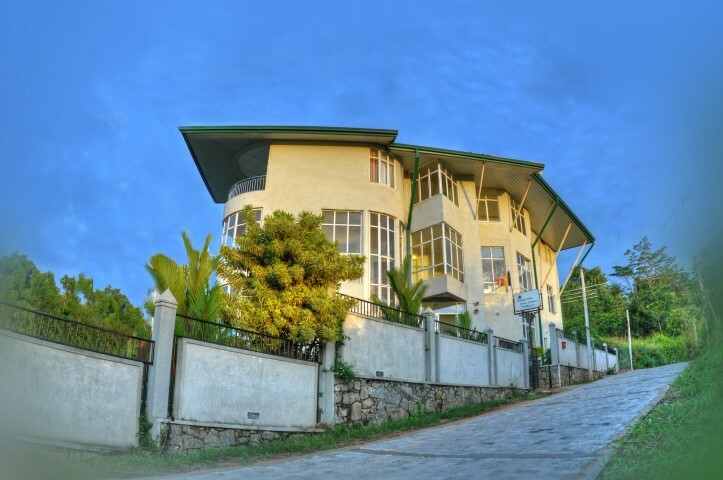 Kandyan View Holiday Bungalow is a striking 3-star property, which is conveniently located close to major landmarks and key attractions. The hotel offers an unforgettable stay to the guests with modern amenities and flawless services. After a tiring day, one can relax in the comfortable rooms fitted with king size beds, clean curtains and bed sheets. Kandy is a host of rivers, lakes, and hills that offer immense pleasure to guests minds and souls. Further, the quirky cafes and restaurants offer a delightful dining experience to the visitors along with splendid views of hills. From traditional to international cuisines, guests can satiate their taste buds in the most amazing way. Guests can access free Wi-Fi and entertain themselves with movies, online shows, and music. The tour desk of the hotel assists with cultural and local tour packages including Elephant Orphanage, Sigiriya, Anuradhapura and Nuwara Eliya. Those who are looking forward to an enriching experience that gives you a chance to take back several beautiful memories should book a stay at Kandyan View Holiday Bungalow.